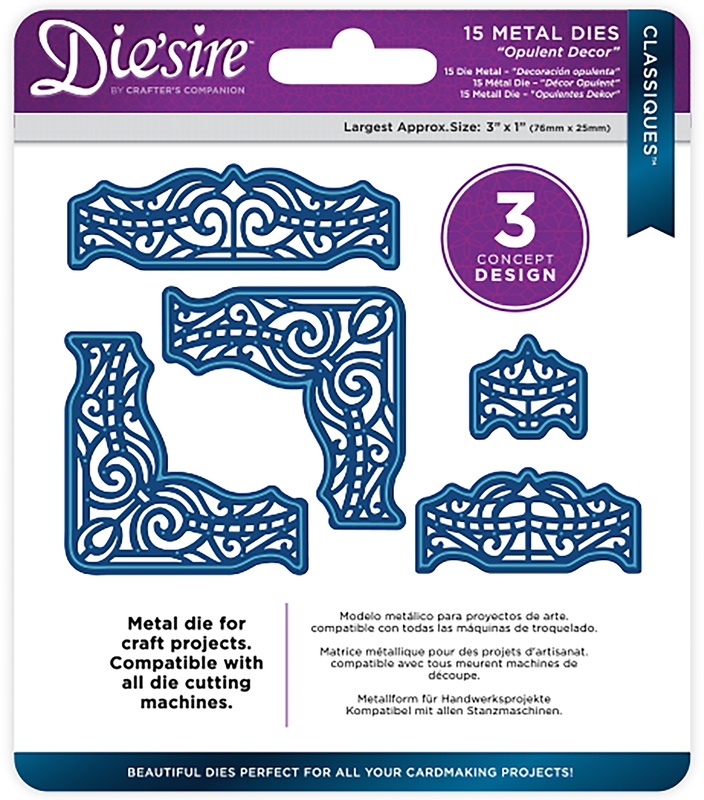 The Classiques Dies From The Die'sire Family Are Great For Creating Detailed Corners With An Elegant Touch. The Easy-To-Use Decorative Dies Are Perfect For Not Only Corner Detailing But Also For Pretty Borders, Delicate Detailing And So Much More. Perfect For Card Making And Other Projects. Compatible With All Die Cutting Machines. Package Measures 5.375 X 6.125 Inches And Includes 15 Metal Dies. Design: Opulent Decor. Warning: May Contain Items With Sharp Edges. Handle With Care. Recommended Ages 14 Years And Up. Imported.